You have many choices when choosing where you will take your Instructor Training. Look no farther, as it doesn't get better than taking your Open Water Scuba Instructor course from Coral Key Scuba & Travel. Personal training from Trainers that have multiple agency professional certifications. 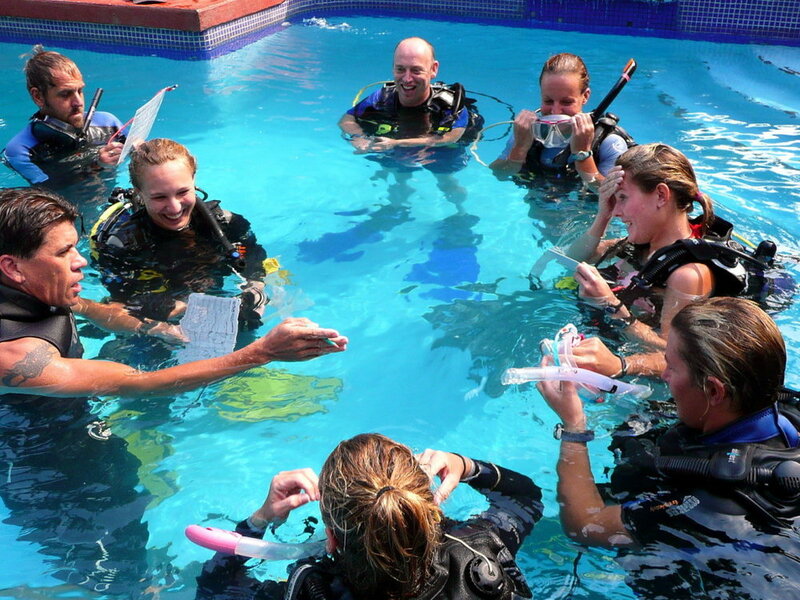 We have trained thousands of divers and many instructors since 1995. If your good enough we might even hire you. At least 75 logged dives. CPR, First Aid, O2, AED training within the past 24 months. You’ll be able to organize and present information, conduct skill development sessions and control open water dives. Basically, you get really good at demonstrating skills while watching out for student diver safety. Then you get to see the light in the students eyes when they finally get that they can breathe underwater. You teach and evaluate students as they demonstrate the skills you taught them. Upon completion, students will be prepared to attend a Training Examination, evaluative program that tests an instructor candidate’s teaching ability, dive theory knowledge, skill level, understanding of the Standards and attitude and professionalism.